Cloud-based disaster recovery -- disaster recovery as a service -- has made DR available to the masses, whereas such capabilities were previously only manageable by large companies. Even so, for organizations to simply subscribe to DRaaS providers alone is not enough. The only way to know for sure that your disaster recovery resources are going to work correctly when you need them is to perform regular testing. The need for performing DRaaS testing is well-known. In fact, the concept of disaster recovery testing has existed in one form or another for decades. Even so, it is all too often neglected. There are some key differences between traditional DR testing and testing within a DRaaS environment, and these differences make tests much more practical. One of the reasons why disaster recovery testing is so much easier in the cloud is because of the infrastructure requirements. Normally, if an IT professional wants to test the ability to fail over a certain workload, hardware for the failover is necessary. Needless to say, it can be tough to justify the cost of standby hardware that will only be used in the event of a major crisis. Cloud-based disaster recovery testing completely eliminates this requirement. DRaaS providers have plenty of hardware available for their customers' use. There are costs associated with cloud-based disaster recovery testing, but dedicated standby hardware is not required. 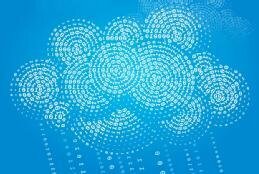 Instead, cloud providers typically charge their customers for the network, compute and storage resources used during the testing process. Once the tests are done, there are no ongoing infrastructure charges. The good news is that most of the mainstream DRaaS providers offer testing capabilities. Another common barrier to disaster recovery testing is that the process can be complex and time-consuming. After all, there are a lot of moving parts in the disaster recovery process, and it isn't something that most people do on a daily basis. Conversely, a DRaaS provider has based its entire business on disaster recovery. Like any other cloud-scale business, DRaaS providers rely heavily on orchestration. This not only makes it possible for the provider to operate, it also goes a long way toward making things easier on subscribers. In fact, cloud-based disaster recovery testing is often a heavily automated process. This automation may greatly reduce the amount of time that an IT pro has to invest in the testing process. Typically, cloud-based disaster recovery testing can be performed with just a few mouse clicks. An administrator might, for example, have to select a virtual machine -- or a virtual protection group consisting of multiple virtual machines -- and a recovery point. Traditional disaster recovery testing can pose a risk to production workloads. Consider the risk of trying to fail a production database over to an alternate data center. If something were to go wrong during the test, the database could become inaccessible. Even if the failover goes as planned, running the database in an alternate data center could result in increased latency or other performance problems that affect production workloads. In other words, disaster recovery testing may pose an unacceptable risk for workloads that have to remain continuously available. Cloud-based disaster recovery services do an excellent job of mitigating the risks associated with disaster recovery testing. In the previous example, the concept of failing a database over to an alternate data center implies that a running database has to be moved out of the production environment and into the disaster recovery environment. This move obviously carries risks. With cloud-based disaster recovery, risks are eliminated because the production database is not affected in any way. The database is not migrated to an alternate data center, nor is it taken offline. It is left running in place and is not even aware that the test is being performed. DRaaS providers use ongoing replication to create a cloud-based copy of the production resources. The testing process involves creating a sandbox environment that is completely isolated from the production environment. The cloud-based copy of the workload -- in this case, a database -- is mounted, and then brought online in the sandbox. This enables the IT staff to verify that the workload is functioning correctly in the cloud and to do so without having to worry about influencing the production workload or somehow causing a conflict with the resources on the production network. Although a database was used in this particular example, the concept is valid for other types of workloads. Testing is the key to being able to confidently and reliably recover from a disaster. The good news is that most of the mainstream DRaaS providers offer testing capabilities, including Zerto, Bluelock and Iland. What kind of testing does your DRaaS provider offer?